It can be a true three-ring circus as you close in on signing day for your new St. Cloud home. Sometimes there’s a near-simultaneous sale of the previous house that demands attention. There are the timing issues connected with moving out and then moving in. You may be dealing with furnishing the new house, school schedules, and sometimes work requirements have to be juggled; and everything seems to be happening at the same time. The subject is your decision on how you want to time the new mortgage payments for your new St. Cloud home. It turns out that “once a month” is not necessarily the best answer. 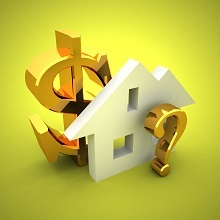 Many lenders offer a variety of mortgage payment options, and they vary in ways that can make a surprisingly great financial difference over the long haul. No matter how busy you get, this is a decision which deserves some serious attention (and probably a hand calculator). ‘Bimonthly’ means twice a month (but not once every two months). ‘Biweekly’ means every other week. At first glance, “every other week” and “twice a month” seem to be the same thing; but they’re not. The difference is significant, because there are 52 (not 48) weeks in a year. As everyone comes to realize sooner or later, there are 4.3 weeks in an average month (not four). So the number of mortgage payments you will make could be 12 (if you go with the standard ‘once a month’ mortgage payment), or 24 (a bimonthly mortgage payment), or 26 (the biweekly choice). Most people who choose either of the ‘bi’ payment choices consider a mortgage payment amount that’s exactly half of the monthly amount. If you choose the bimonthly plan, you might save a bit on interest by paying the first half a little bit early. But most lenders just hold the money and apply both payments at the end of the month—if so, the advantage disappears. The real significant difference arises if you are offered a biweekly option. You can use any of the online mortgage sites to work out the precise details for yourself. Because you are making two extra payments a year, for instance, what would have been a 3.8% 30-year $225,000 loan for a St. Cloud home actually turns into a 26-year loan. All else being equal, you’d own your St. Cloud home free and clear four years earlier—and save more than $23,000 in the process! No matter how hectic a house hunting and moving process becomes, it’s part of my job to help my clients keep the important details and decisions front-and-center. Getting the best answer to the mortgage payment choice is one of them; and of course, another best answer is to give me a call!